This is the fourth part in a series of posts that feature Sibelius tutorial videos that I created especially for educators. You can links to the other parts at the bottom of this post. In this fourth episode, we focus on how to create musical graphics from your own scores that you and your students can use in worksheets, classroom resources and essays. 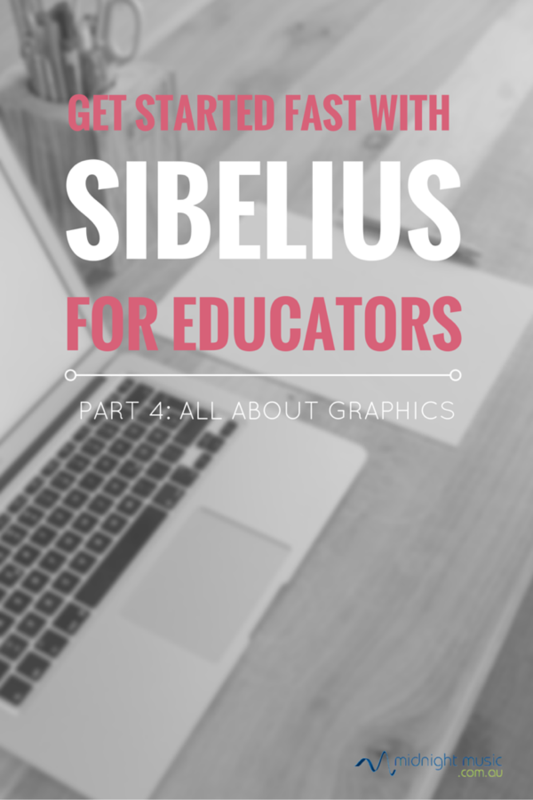 We also look at how to import pictures and other graphics directly into your Sibelius scores. Exporting graphics in formats such as PDF, EPS or TIFF. Download a handy Sibelius shortcuts list that will help you and your students work more efficiently. Click on the button below to download a copy of the shortcuts. It will be sent straight to your email inbox.